Whew, TGIF! With Valentine’s Day right around the corner, it seemed only fitting to have today’s Five on Friday be all about the Valentine, right? 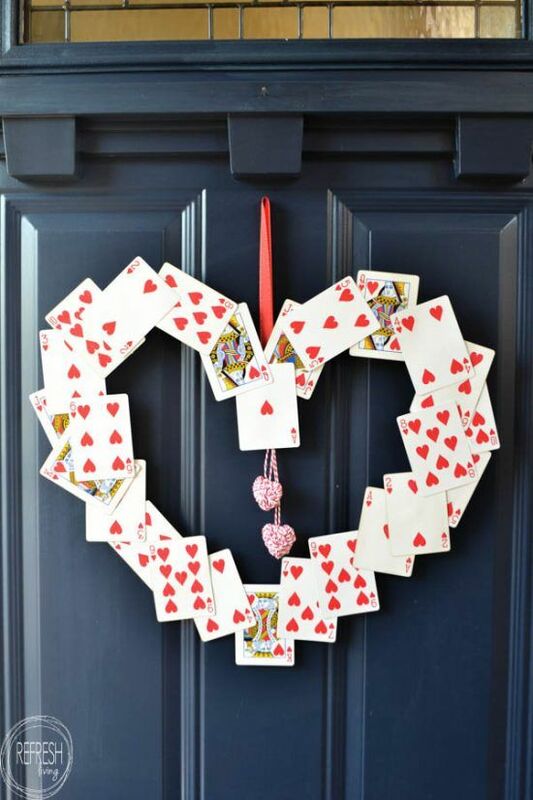 I’m not one for decorating for this day, but I have a few fun things to share that should make your day extra special! 2. This sweet love letter banner… I especially love low/no cost projects that are meaningful. These envelopes each contain a written note of what the creator loves about the recipient. So precious for a child or a husband. This would make a sweet classroom decoration as well. 3. These reflections on God’s great love for us… While we often attribute romantic love as the basis for Valentine’s Day, what if your family pondered God’s pure love for us through these verses? 4. 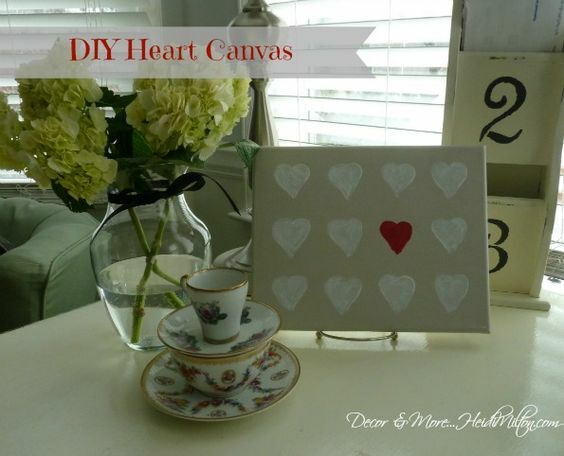 This DIY heart canvas painting… I first did this easy project a few years ago, but I’ve made several since that I give as gifts or sell in my booth. Quick and easy decor! 5. 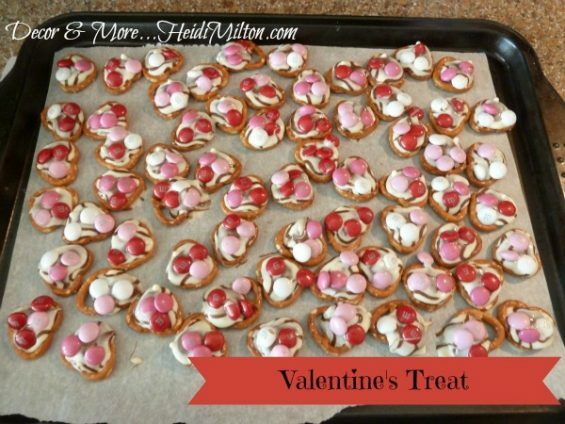 Sweet and Salty Valentine’s Day treat… This is one of our favorites and I’ll be whipping up a batch of these for our Legacy Valentine parties next week. YUM!! I’ve got a busy day and weekend ahead, but am hoping to make more progress on the Great Purge Project. I feel like I’ve barely made a dent in it all, but I’m sure that’s how it goes after 19 years in the same house! I’ve also picked up a little part time job (!) so I may share a bit more about that next week. So tell me in the comments how you’ll be celebrating Valentine’s Day! Inquiring minds want to know! Enjoy your weekend, loves. 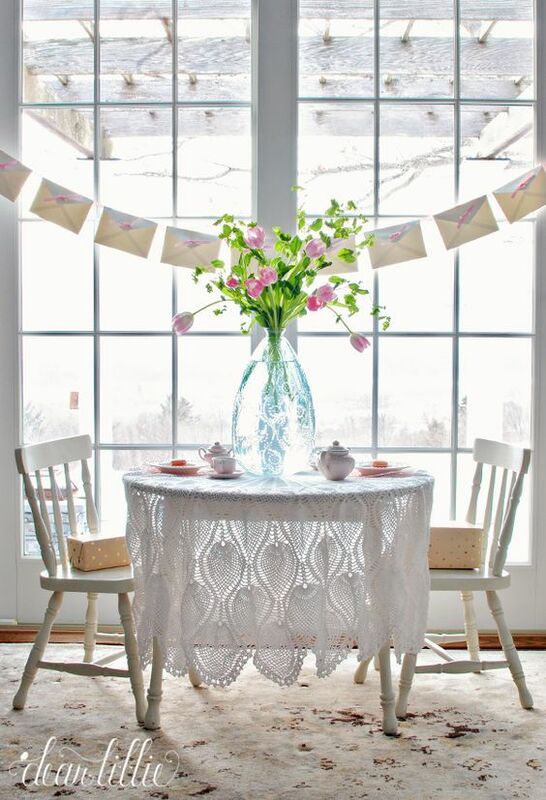 Great features….love the crocheted piece on the kids’ table…I have the very same one that my mom made years and years ago….this gives me an idea of what to do with it!